The 2018-2019 season ended in a good way for our 50/50 lottery, presented by itravel2000.com, which raised more than $2.6 million this year. Half of that amount will be reinvested in the Foundation’s various programs, such as our BLEU BLANC BOUGE at Camp program, which provides a unique opportunity to hundreds of underprivileged children to experience the magic of summer camping for the first time in their lives! 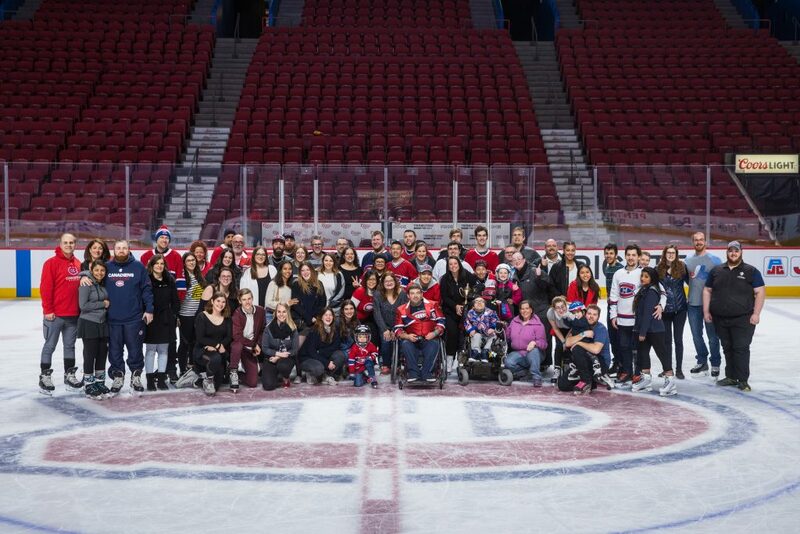 To celebrate National Volunteer Week and the end of the season, we invited to the Bell Centre all volunteers who have signed up for more than 10 games this year. On April 7th, more than 35 volunteers and their families came to our annual skating party. To thank them for their continued commitment throughout the year and to highlight their generous collaboration, the volunteers got to enjoy a very special evening in the home of the Montreal Canadiens that included a dinner, a skating session, a visit of the Habs locker room and an award ceremony! The Foundation would not be able to carry out its mission and activities without the invaluable contribution of this team of committed volunteers, who together contributed nearly 5,500 hours of volunteering to the community during the 2018-19 season.